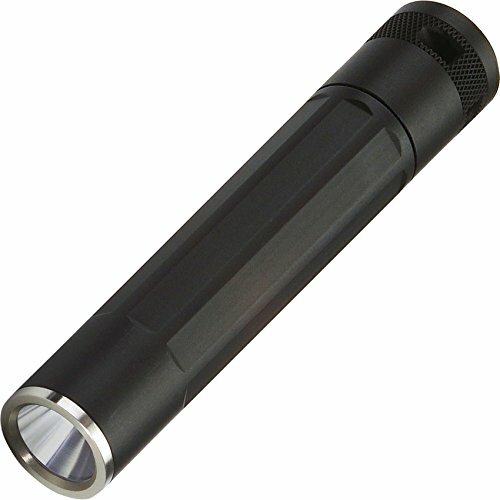 The INOVA X1 is a serious flashlight that offers exceptional engineering and illumination for its compact 4-inch size. Powered by a single AA alkaline battery, its patented optical system and precision machined aluminum reflector with thermal interface provides superior light projection and visibility. The push button end-cap switch activates constant and momentary high and low, and lockout modes. Featuring a uniform focused spot with flood beam pattern that has an effective range of 187 feet. The stainless steel clip makes it perfect for keeping close at hand on a waistbelt or pocket, or it fits nicely in glove box, purse, brief case, backpack, and everywhere you go. LONG LASTING BATTERIES INCLUDED - the easily replaceable AA battery will power the light up to 70 hours in low mode. WATERPROOF, SHOCKPROOF, CRUSHPROOF - the aerospace grade aluminum body and tactical construction make this light nearly indestructible on the job. IMPRESSIVE RANGE OF VISIBILITY - The aluminum reflectors found in this light allow for maximum visibility. See up to 187ft | 57m ahead with this effective, compact light. EASY TO OPERATE - The push button end-cap switch activates constant and momentary high and low, and lockout modes.